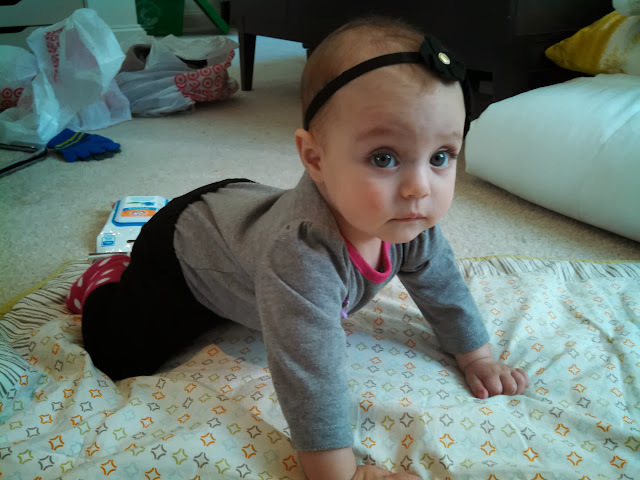 We might have to call it..
Ava is officially walking at 8 months! She was holding on to the TV stand and just walked across the living room to the couch (about 6 feet). We skyped with Yaya and Hinckpa moments later and she did it 6 more times! We'll work on a video when Daddy gets home. She's been talking 3 or 4 steps for the past two weeks and 6 or so steps for the last two days, but I think 6 feet makes it official. She also put two words together this morning for the first time. "Where dada?" while looking around for him. Unstoppable! 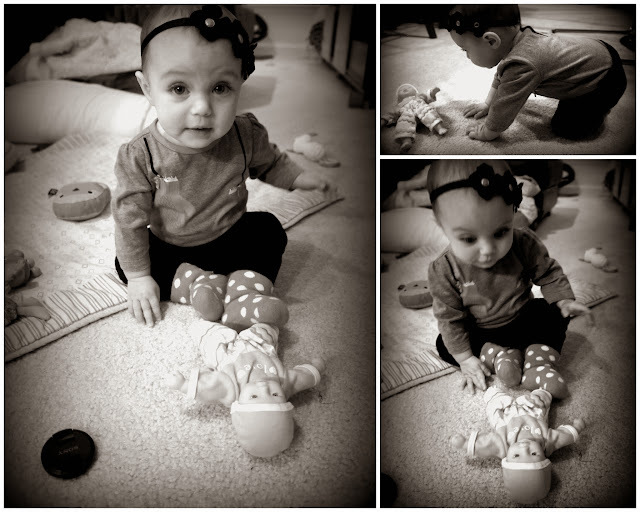 She was just sitting in the middle of the floor playing nicely and then suddenly she was standing. I was rubbing my eyes in disbelief. I can officially get on my hands and knees myself. Yes, Mommy is shaking in her boots.